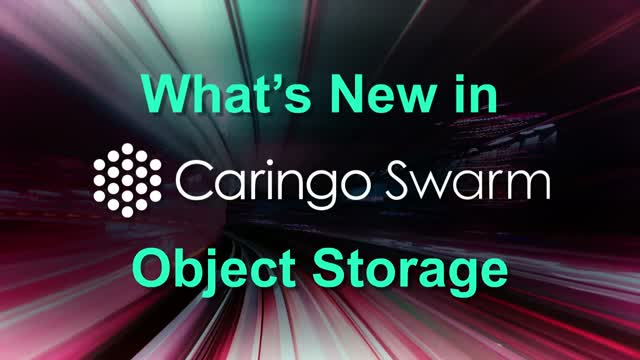 Join Caringo Product Manager Eric Dey for a detailed look at the recent changes to Swarm Object Storage and a peek at the product roadmap. You will learn about recent updates to all aspects of Swarm such the foundational storage cluster, the user interface, and support for NFSv4 file sharing. Eric will also review the best-of-breed features that can help you reduce your storage TCO when implementing cloud storage for data protection, management, organization, and search at massive scale.